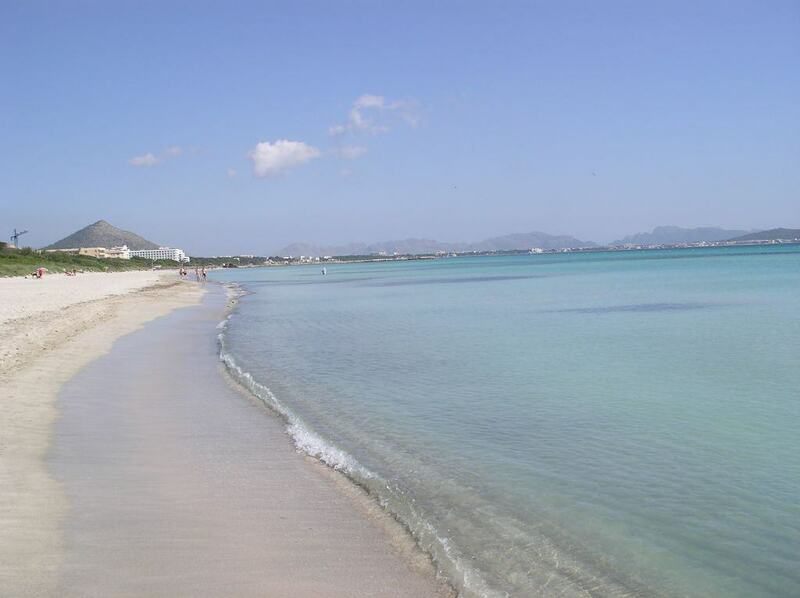 Muro beach is 5.2 km long. 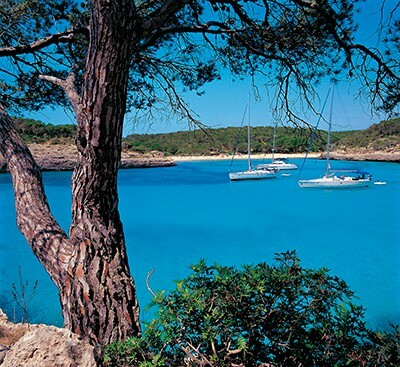 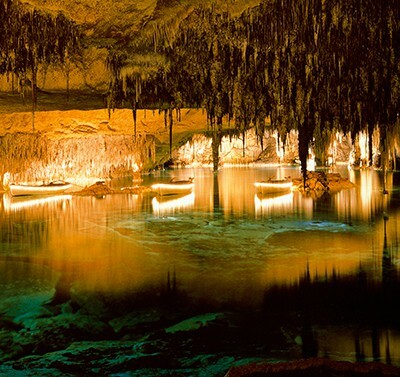 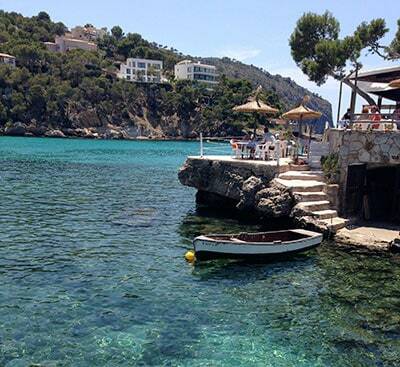 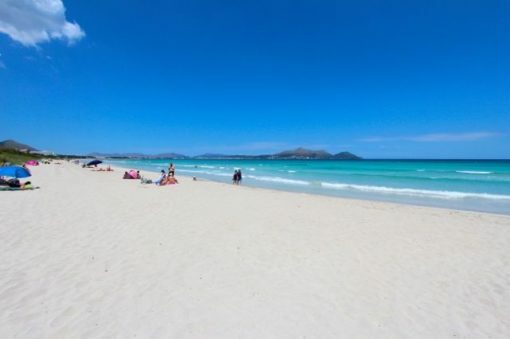 It is one of the longest beaches in the Balearic Islands. Playa de Muro is a beautiful six kilometre long Blue Flag, white sandy beach in the north of Majorca that is generally quieter than neighbouring Alcudia beach because of its out of town location. Muro beach is 5.2 km long. 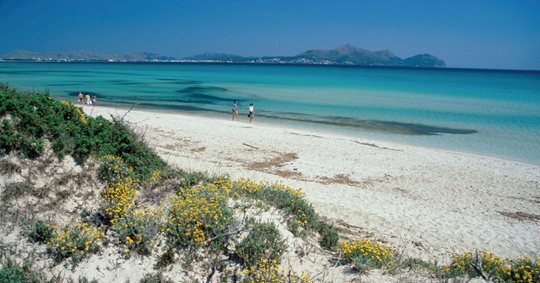 It is one of the longest beaches in the Balearic Islands. 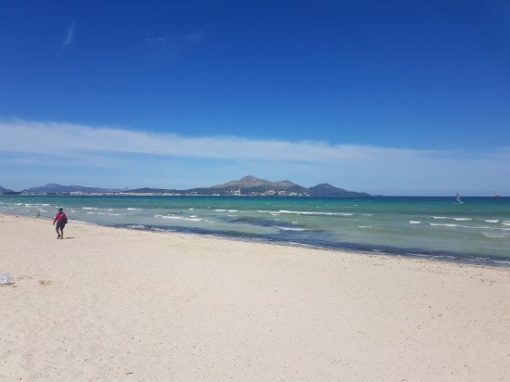 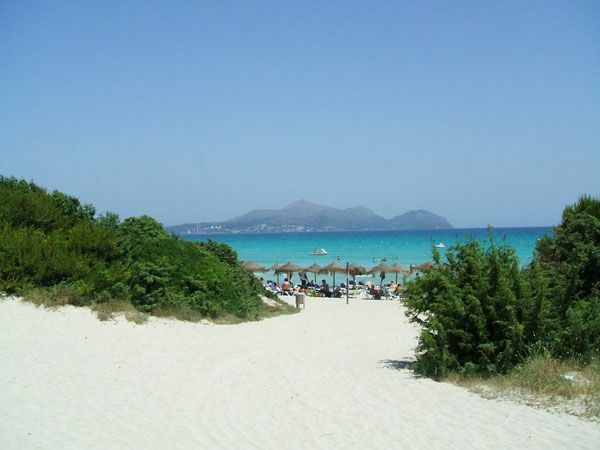 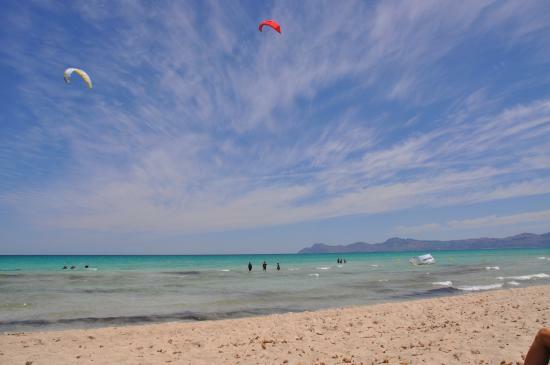 Playa de Muro is a beautiful six kilometre long Blue Flag, white sandy beach in the north of Mallorca that is generally quieter than neighbouring Alcudia beach because of its out of town location. 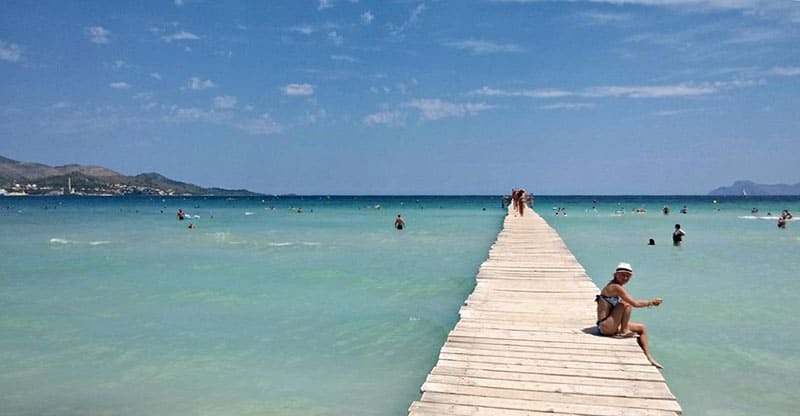 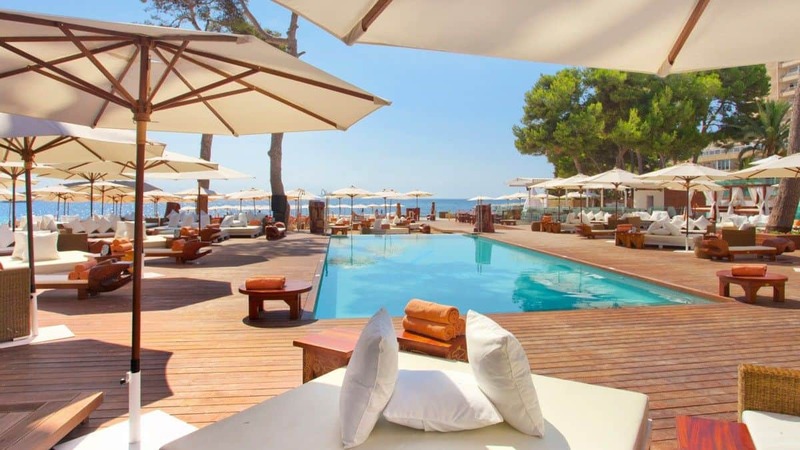 Muro beach has a great service infrastructure: restaurants and bars, souvenirs shops, vehicle rental, 35 hotels (totalling 16,294 beds), a significant number of sunshades and loungers for rent in summer (1,660 sunshades and 3,320 loungers), etc. 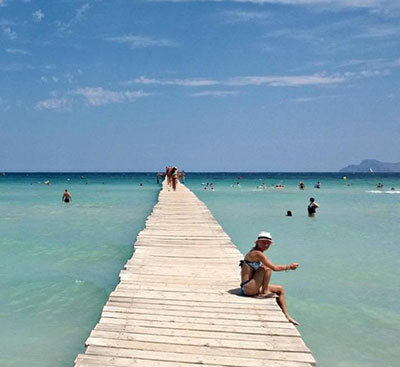 The beach is also well served by restaurants and cafes along the beach front.